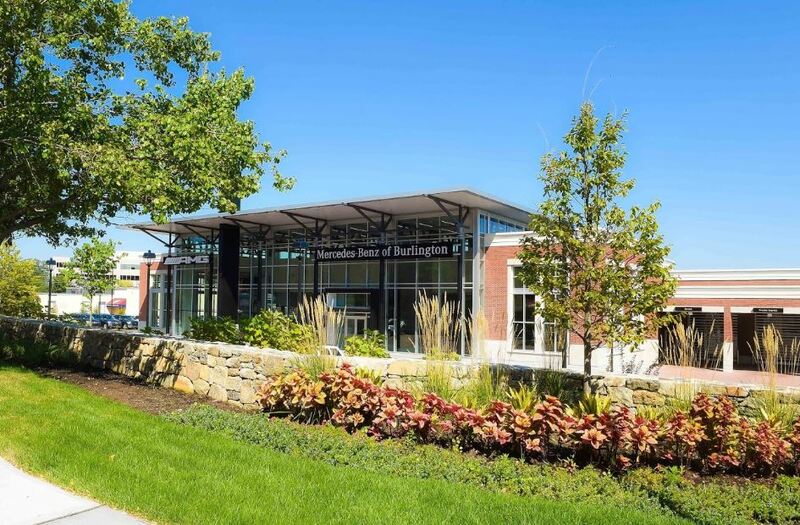 Bayside Engineering prepared a Traffic Impact and Access Study for the proposed Mercedes-Benz Dealership in Burlington, Massachusetts. 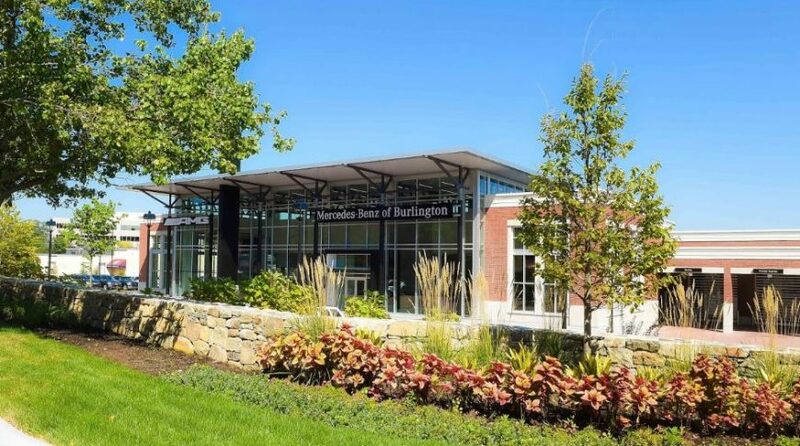 The development is located on the east side of Cambridge Street, Route 3A, between Burlington Mall Road to the south and Corporate Drive to the north. The site previously contained approximately 68,000 square feet of vacant office space and access was provided by way of Suburban Lane and a second driveway to the north. The project consisted of the demolition of the existing buildings and the construction of an approximately 55,000 sf Mercedes-Benz dealership. Parking accommodates up to 450 vehicles. Access is provided by way of a primary driveway to the south and emergency access to the north by way of an easement to Corporate Drive. impact report summarizing work performed with results. Key to the access design and internal circulation was designing the parking to allow car carriers to unload vehicles on the site and not on Cambridge Street. Bayside also secured the necessary Highway Access Permit from MassDOT.